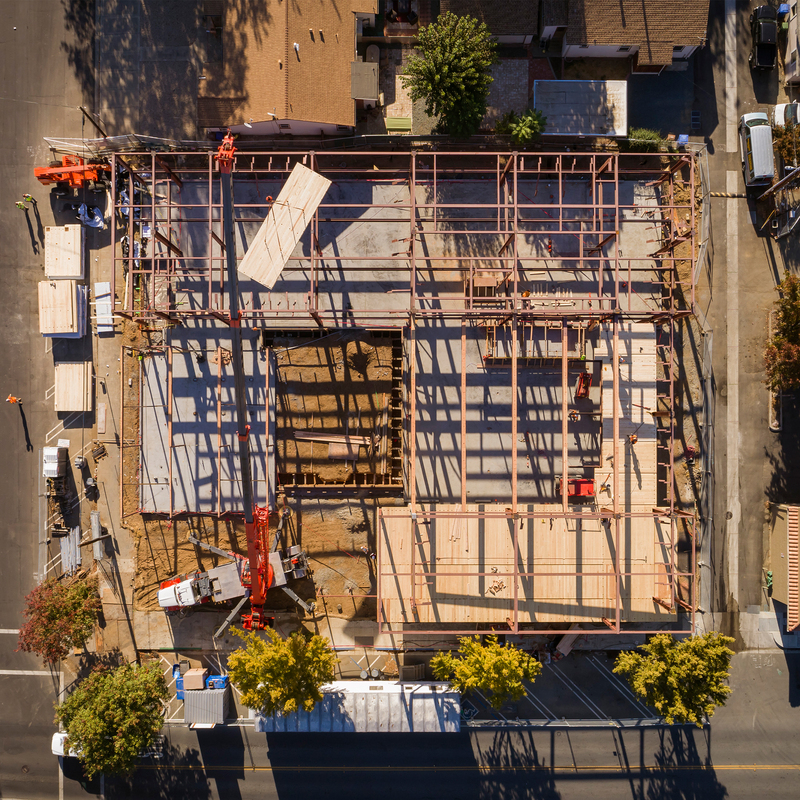 The City of Brentwood has upgraded its public library to better serve as a central community hub. 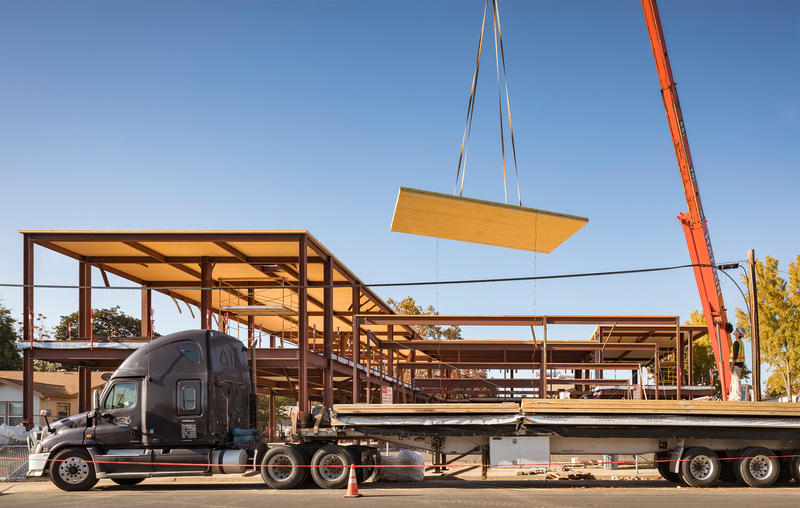 A new two-story main library building and adjacent one-story community room replaced the former library, paving the way for the innovative use of emerging materials. 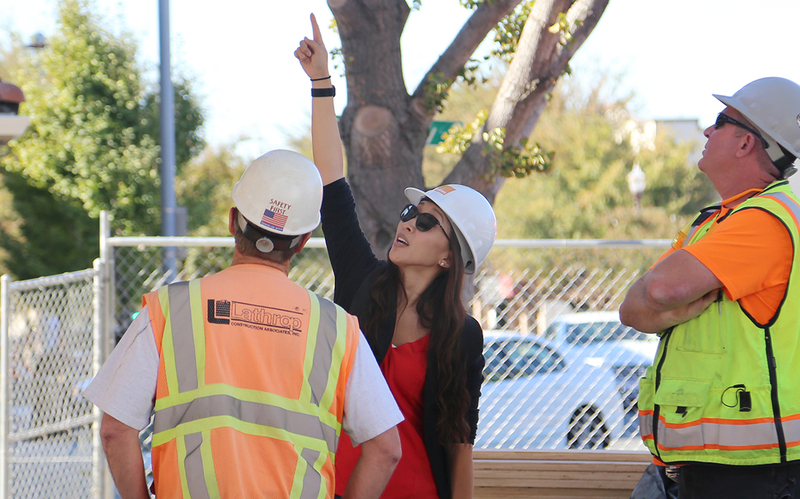 Holmes Structures provided structural engineering design for the project. 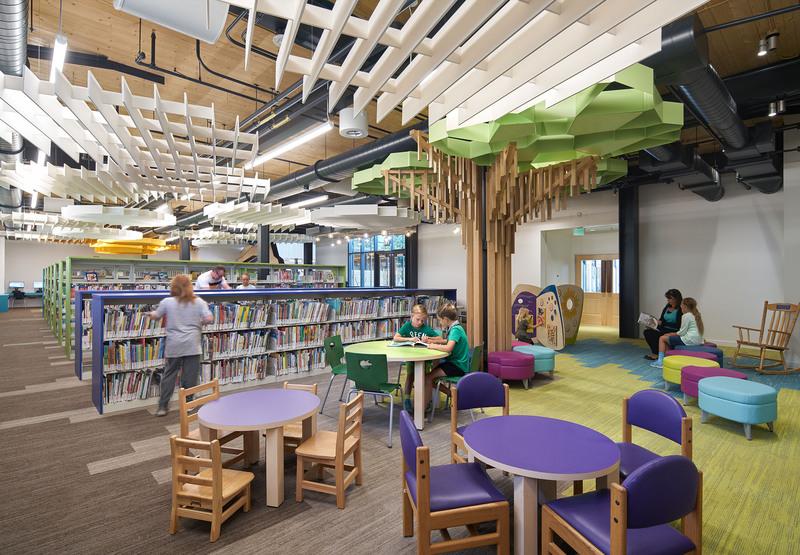 The main library building includes a children’s area and story time nook on the ground floor, as well as additional library space on the upper level. 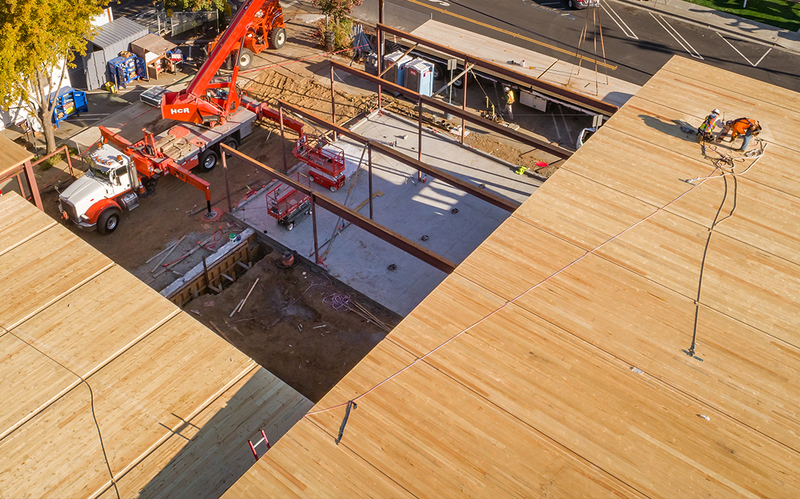 The building is organized around a central double-height space with a feature stair. 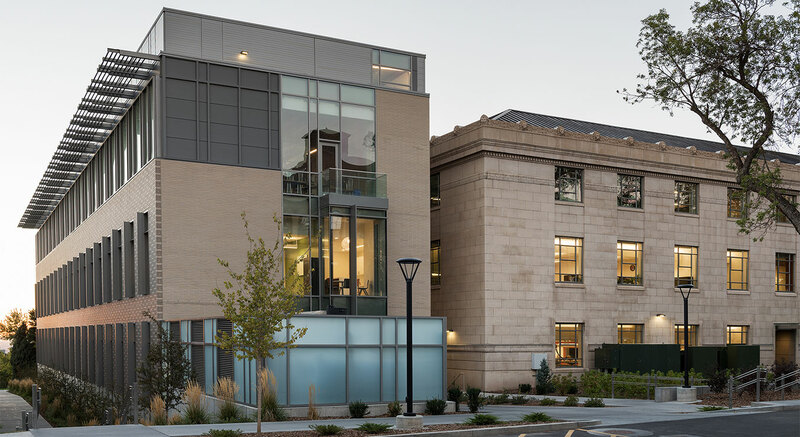 A seismically separate one-story community room stands adjacent to the main library. 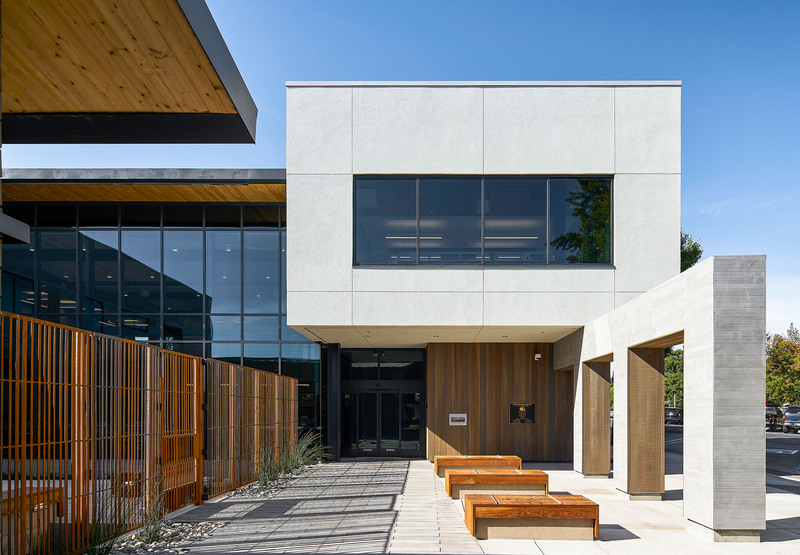 The two structures are connected with a central exterior courtyard featuring plants native to California in an arrangement of filtration planters. 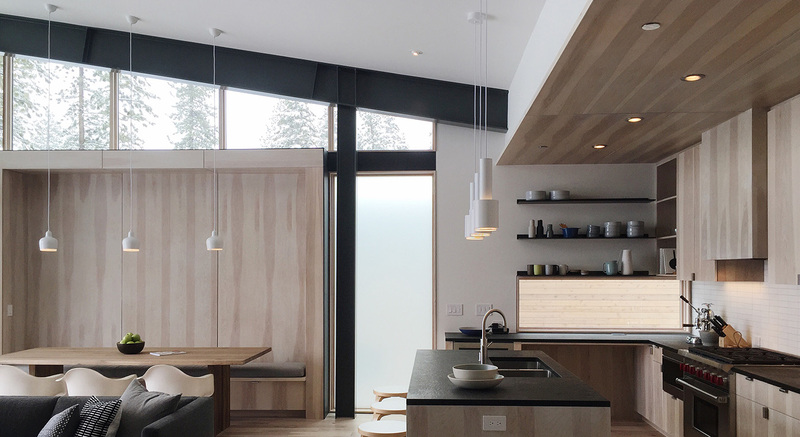 Holmes Structures met the architect’s request to showcase CLT (Cross-Laminated Timber), a material gaining traction in the US for its warm, inviting aesthetic and sustainable qualities. 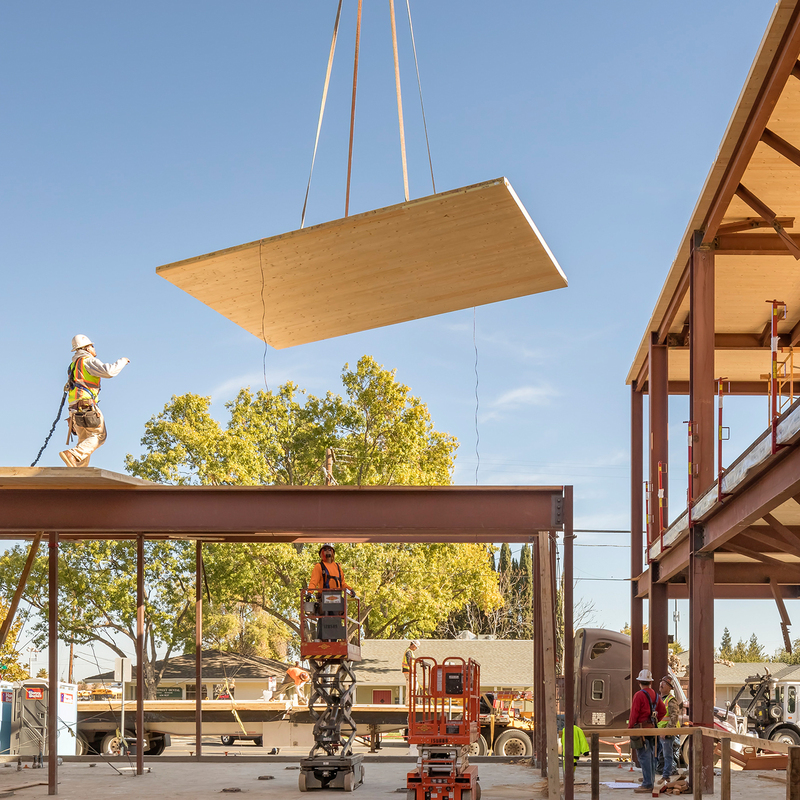 FOG Studio was the first architectural firm to use CLT in California and sought to further push the material’s potential. 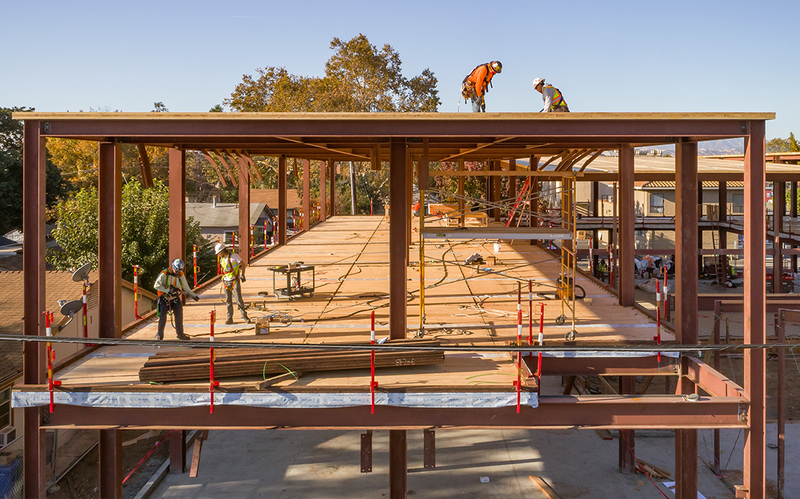 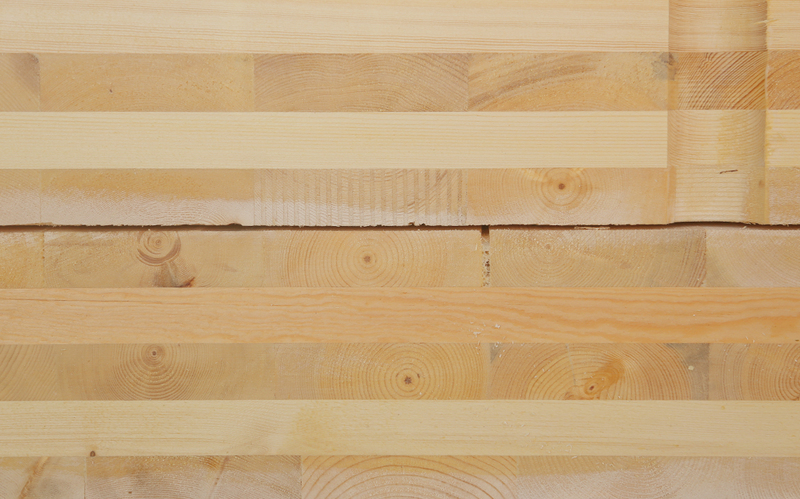 A CLT diaphragm on the roof and floor plates uses plywood splines and screws to drag an earthquake’s lateral load into steel moment-resisting frames. 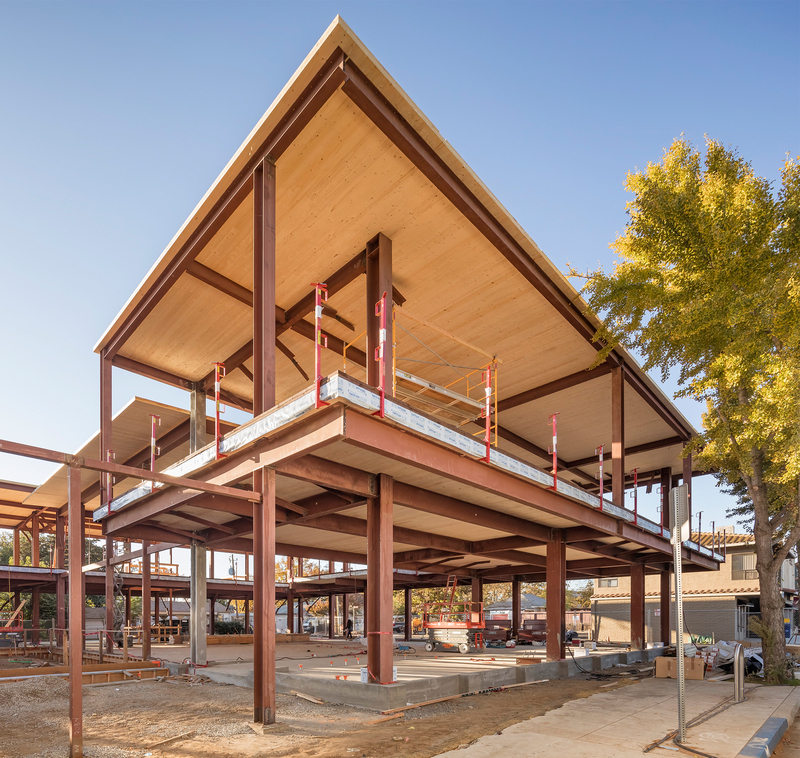 Additionally, a double-height space over the lobby draws visitors’ gazes to an exposed CLT ceiling and exposed steel framing.